Take a look around. Where’s the germiest place in your classroom? Now get ready to “STEM” the germs and teach the science behind handwashing with free resources that highlight the difference proper handwashing makes. Then enter to win $750 in classroom cash, an iPad mini, or a PURELL prize pack! Find it at TheMailbox.com/stemthegerms. Ready to read? You have a new chance to win a class set—30 copies!—of the book of the month for your grade level. The picks for October are Don’t Let the Pigeon Drive the Bus! ; Eleanor, Quiet No More; and Magnus Chase and the Gods of Asgard, Book 1: The Sword of Summer. Get free activities for these and other books, plus download reading tips, teacher guides, and more! Enter here. Got some innovative thinkers in your class? They could win $1,000 in the Infy Maker Awards and you could get a $10,000 grant to establish makerspaces in your classroom. (Think peer learning and knowledge sharing to improve the lives of others.) Get the details here. Don’t forget to submit a comment so you have a chance to win the books! Purell! I thought those days were behind me when I moved from elementary to high school, but no such luck! My favorite is ALL of them! 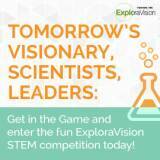 I’m always looking for ideas and resources to build up our STEM program. Thanks for sharing! I cannot choose just one. They’re all great! Always looking for new STEM resources! These books look like great additions. 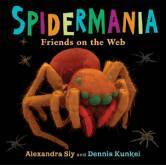 My students (even the girls) love spider books and this would make a great addition to my library. We are into spiders and the Purell. Variation and Classification sounds great! I would love to win 30 copies of the same book for my whole class. 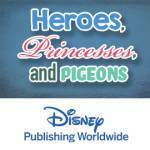 Disney Publishing Worldwide is my favorite. I’d love to win the set of Pigeon books for my class! Would love to win the purell and entered the disney princess. Would love the books too. I love bringing science into my day! The Purell activities are awesome! Your selection of book titles of books are marvelous. Variation and classification would fit right in with out Science Standards. A class set of Lightening Thief’s books would interest all of my learners. Disney Publishing Worldwide is so generous. I love the Disney books and know these would be a great addition to my library. Of course, I love giveaways and would be tickled with any prize choice! They really are wonderful books. Magnus Chase is all the rage at my house right now! Heidi, we have a new blog post, just went up minutes ago. Take a look! I would love to win the handwashing/germ offer! I teach a special education life skills classroom and we are getting ready to start a health unit, and go into the importance of brushing teeth, hygiene, and various other areas of interest. I would love to win a set of books of Eleanor quiet no more and the Purrell prize, especially the prize pack and Ipad Mini!! Lisa, I just posted a new blog. Take a look at that prize too! Purell, it’s sniffle season right now. I could use some sanitizer in my classroom. I like them all but the Disney books would help my kids in reading! Thanks! My students would love the Eleanor class set! The iPad mini would be so helpful also!! I would like to win the class set of 30 books.